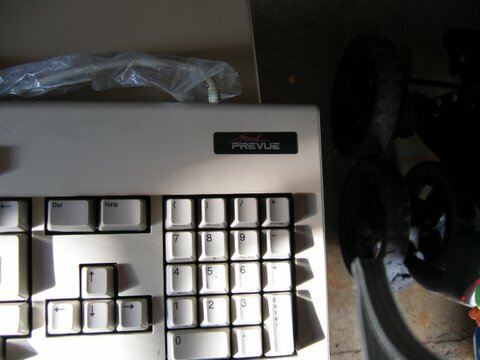 The Sneak Prevue was based around the Amiga 2000 and was used by cable TV companies to broadcast a special channel called the 'Sneak Prevue' channel. It showed programming information such as which movies were available on pay-per-view. Programme information included times and dates and programme titles would scroll across the screen. The unit was supplied with a data demodulator made by Zephyrus which was labelled "Made in Tulsa ,OK, USA". The Data Demodulator was probably used to filter data and control information from video signals sent by the satellite. The card itself says control data and EPG data on separate traces and actually plugs into an ISA slot. 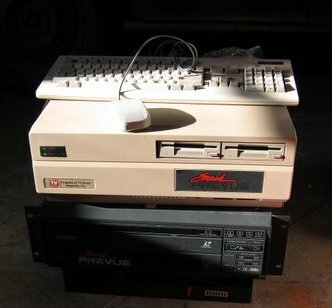 It was also supplied with a Genlock made by UV Corp which was used with the video from the Laser Disc. The TV company would be sent a new Laser Disc every month containing the lastest information for the pay-per-view movies. 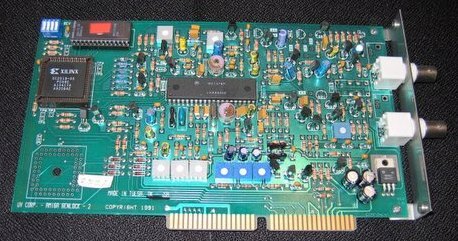 A UV COM card was fitted to switch between the Laser Disc and Satellite. A SupraRAM card was also supplied. Page contributors: Andrew Pepper, Mark Stewart, Rainer Schreurs.